Families fall into a routine. Mornings getting ready for work and school follow the same timeline every day. Dinners are typically served around the same time. The exceptions are when the family becomes too busy to sit down together. It happens but it is important to make that family meal a priority even if it is just on Sundays. All those hectic schedules might mean other things fall by the wayside like cleaning the house. Actually, that is one routine that shouldn’t slip away. 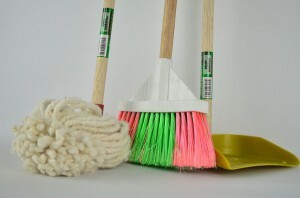 Are you motivating your family to cleanup? You can and you should. When you teach your kids to clean, you’re not only getting your own house in order but you’re also preparing them to survive out in the world. That is the number one role we have as parents: Get out kids ready to leave the nest. Simple life skills like doing laundry and cooking will make them a lot more independent when the time is right. Of course, for right now it’s about getting those tasks done in a timely fashion. Cleaning house needs to be mandatory. You might find some siblings trading off job assignments. That’s fine as long as the work gets done. It will help to set a schedule of what is expected every week. Kids should not only keep their rooms clean but also share in the cleaning of the rest of the house. It helps to establish a “no dumping” policy. Shoes, jackets, sweaters, hats and backpacks all have a place and that place isn’t the floor. It also helps to give age appropriate tasks. You don’t want your four-year-old mowing the lawn but they can certainly put away their toys after every play session. After all, if they took them out, then they should know where they belong. Let your kids see what helping out with the cleaning means to you. It should free up more time to spend together as a family. You won’t be nearly as exhausted or stressed out when you have help. You can also get help from Junk King Palm Beach. This is the company to call on when rubbish removal is part of the family cleaning. All the old clothes, toys, shoes, sporting equipment and anything else that isn’t being used can be turned over to Junk King. You can also give them outdated computers, TVs and furniture. 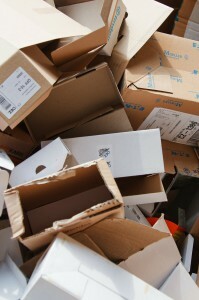 All that rubbish clearing is going to have a positive impact for your home. Enlist Junk King Palm Beach to be your family’s cleanup partner. You’re going to like how the house looks after one junk removal session. This entry was posted in Palm Beach Junk Removal and tagged cleanup, Junk King, junk removal on February 28, 2018 by Junk King. Last updated March 1, 2018 . Needlework requires patience and an attention to detail. The rewards can be amazing. A good way to start is with a cross-stitch or embroidery set. If this is your first time with needlework, then you’ll want pick a small project. Once you get confident with the basics, you can start creating your own designs. Sewing is a very practical hobby. Not only can you develop the skills to make repairs and alterations to you own clothing but you can also create outfits from scratch. You might have a lot of old clothes in your closet that you can repurpose for your sewing practice. As your sewing skills improve, you might start creating outfits for friends and family. Who knows? It could even turn into a small revenue generating business. Knitting is a perfect hobby to keep your hands busy while watching your favorite television shows. A good binge watching/knitting session could yield a scarf or a sweater. As with all hobbies, you’ll find plenty of tutorials online to help you develop your skills. When it comes to deciding on yard color and texture, you’ll be amazed at the variety that is available. To be a success with a hobby, you’ll need a work and storage space. Sewing means setting up a machine. All that needlework and knitting comes with a lot of materials that need to be organized for easy access. Do you have space in your home to support your hobby? You will after Junk King Palm Beach helps clear out clutter. With help from these pro junk haulers, you can make room in your garage, basement or spare bedroom for your hobby set up. Start your new hobby off right with decluttering help from Junk King Palm Beach. This entry was posted in Palm Beach Junk Removal and tagged hobby, Junk King, junk removal on February 22, 2018 by Junk King. Last updated February 22, 2018 .